Mayor Rahm Emanuel Wednesday introduced to City Council the appointment of Olga Camargo to the Board of Commissioners of the Public Building Commission (PBC), and reappointed three members of Chicago Community Development Commission (CDC). Camargo, a respected financial executive, previously served on The Metropolitan Pier and Exposition Authority Board. 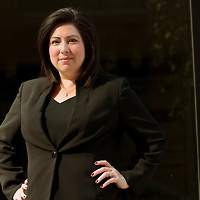 She is currently Managing Partner at Toroso Investments, LLC, where she advises clients in the public and private sectors, as well as not-for-profit organizations and foundations. 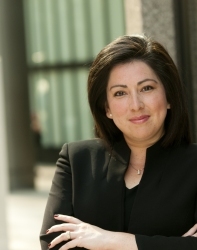 Throughout her life, Camargo has been deeply committed to public service, having served on the Plan Commission, the Metropolitan Planning Council Board of Governors, the City’s Affirmative Action Advisory Board and the Chicago Cook Workforce Partnership. Pending City Council approval, Camargo will replace Martin Cabrera, who is resigning from the Board of Commissioners of the PBC but will remain as the Chair of the Plan Commission. In addition to the appointment of Carmargo to the PBC Board, Mayor Emanuel reappointed Adela M. Cepeda, Nicholas J. Delgado and David Reifman to the CDC.